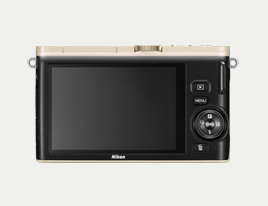 Continuous shooting mode delivers high speed and sharp images. 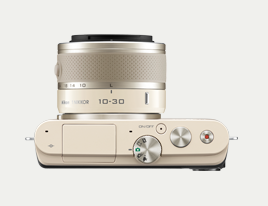 When your subject is in motion, continuous shooting mode works with the camera's phase-detection AF system to track movement and keep the subject in focus. The moment you press the shutter-release button, the camera captures razor-sharp images at 15 frames per second (fps). Continuous shooting mode can shoot even faster when your subject is stationary (imagine a golfer's swing). In this case, you can set the camera to shoot at up to 60 fps! When faced with a fast-motion scene, it is hard to know exactly when to shoot. Slow view is the solution. 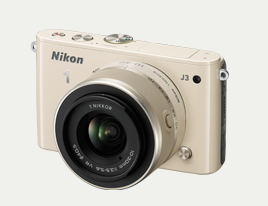 When you half-press the shutter-release button, the Nikon 1 J3 shoots continuously, capturing approximately 20 frames in a few seconds. On the LCD monitor you'll see the action occurring in slow motion. Once you see an image you like, just fully depress the shutter-release button—the precise moment is yours!